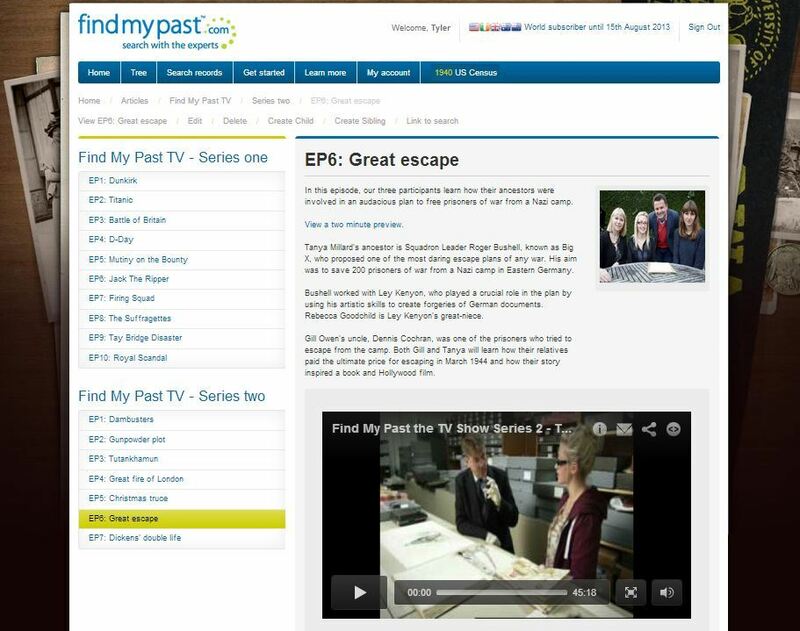 Tune in to findmypast.com to view episodes from the hit UK television show, Find My Past, now entering its second season. Each episode links living individuals to real historical events found in their family tree. Findmypast.com is the only US site where you can watch this show! Register on findmypast.com for free and watch Find My Past episodes that aired in the last 30 days at no cost. Missed an episode or want to watch your favorites again? Findmypast subscribers can watch the all episodes for an unlimited time. Every episode will be available to watch on findmypast.com a week after it airs. We've recently posted 'Episode 6: Great Escape' and 'Episode 7: Dickens' Double Life' for your viewing pleasure. Find My Past the TV show is an exciting series which unites ordinary members of the public with their ancestors. Each week in the new 10-part series, we reveal how three people are related to someone from a significant historical event by searching the ancestry records on findmypast. We follow their journey as each person discovers which of their ancestors played a role in modern history. At the end of every episode, we unite the participants and reveal how each person's family history is connected to monumental world history– such as the sinking of the Titanic, the WWI Christmas Truce, and the Great Fire of London. 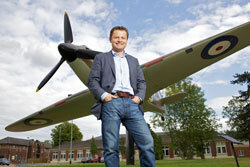 Hosted by Chris Hollins of BBC Breakfast, Watchdog and winner of Strictly Come Dancing 2009, the hit UK Television series is now available for the first time to watch online, exclusive to findmypast registered users.